A place where you can experiment, learn new techniques and start a business. A space where Do it Yourselfers can work on a project for their home, and community groups can build garden boxes! 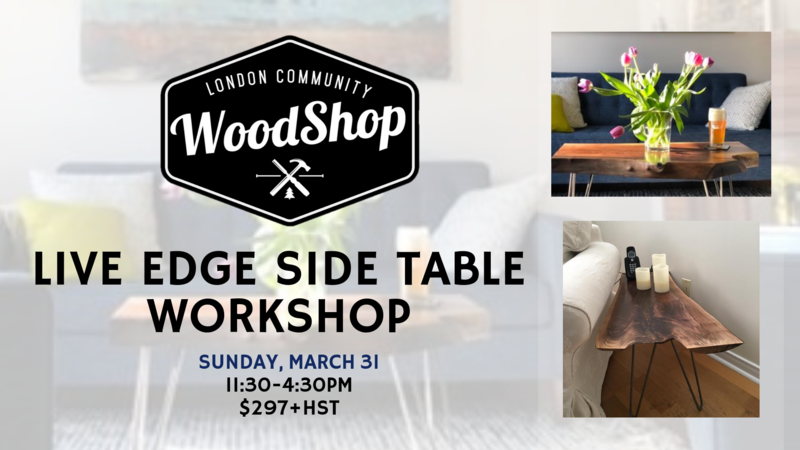 A first for London, the Woodshop offers workshops led by local artisans and affordable memberships. Always wanted to try woodworking? 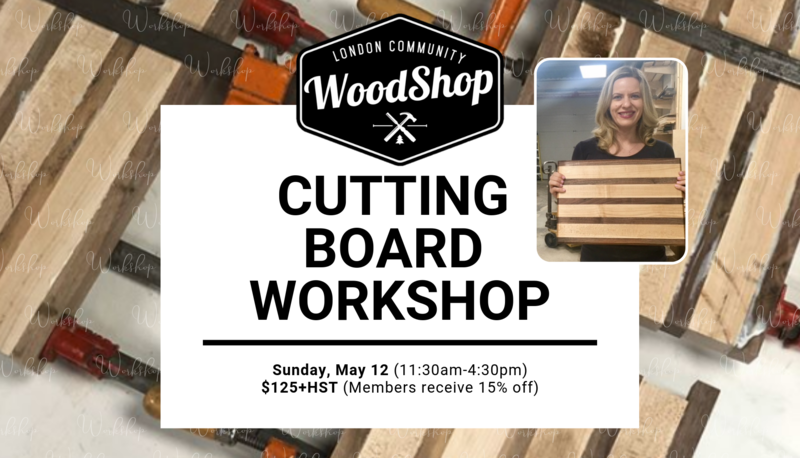 Getting Started is Easy at the Woodshop! WHAT CAN YOU DO AT THE SHOP? 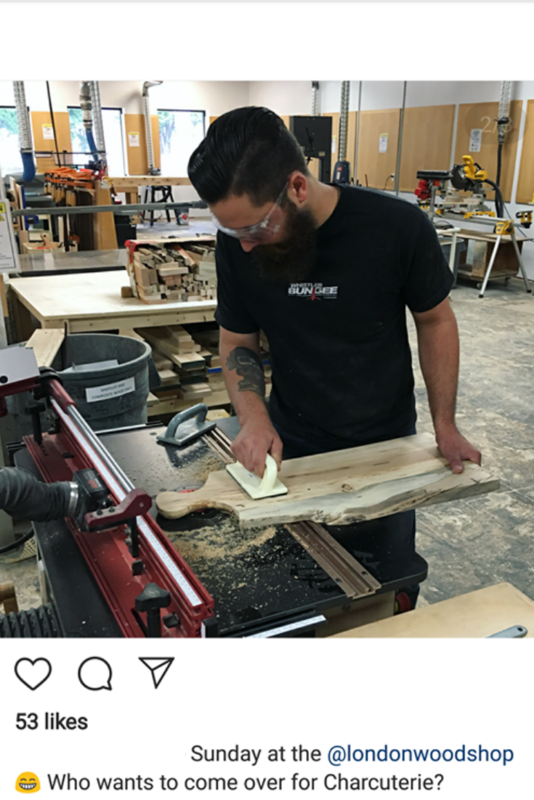 Memberships: Work in the Shop! 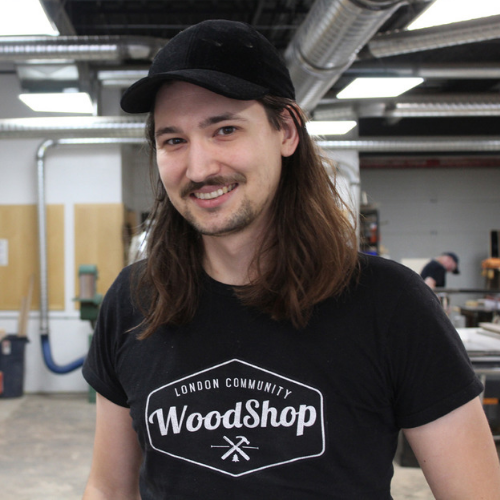 The Woodshop is full of people passionate about making things. With a variety of experience, everyone brings something unique to the workbench. The shop is open 7 days a week, with more than 60 hours of shop time available every 7 days. Top quality tools, work space, project storage and free parking onsite. It's hard to beat! 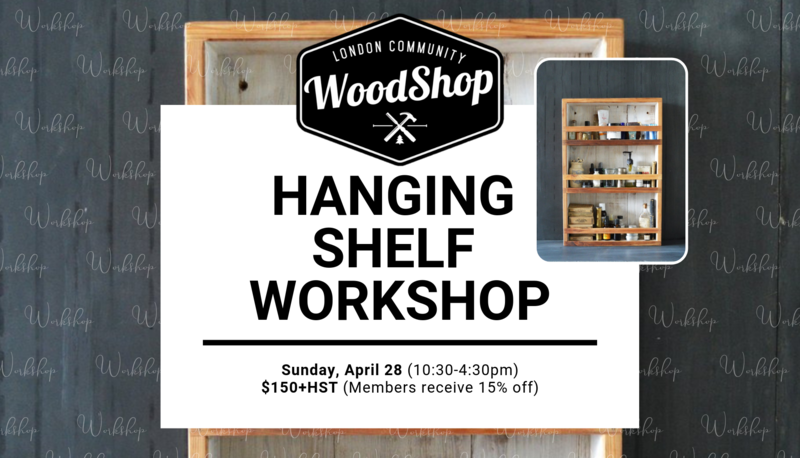 (And we're the only public workshop in London). Do you have a project you've always wanted to work on? A gift you want to make for someone special? A business you've always wanted to launch? 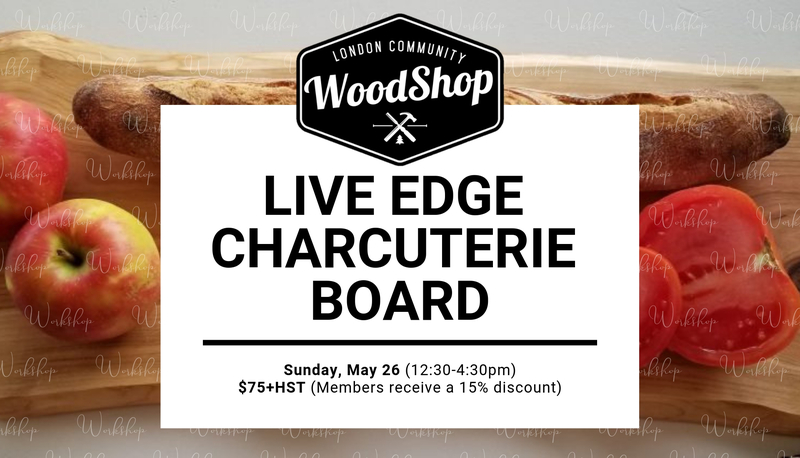 At the London Community Woodshop we're committed to making your goal a reality. 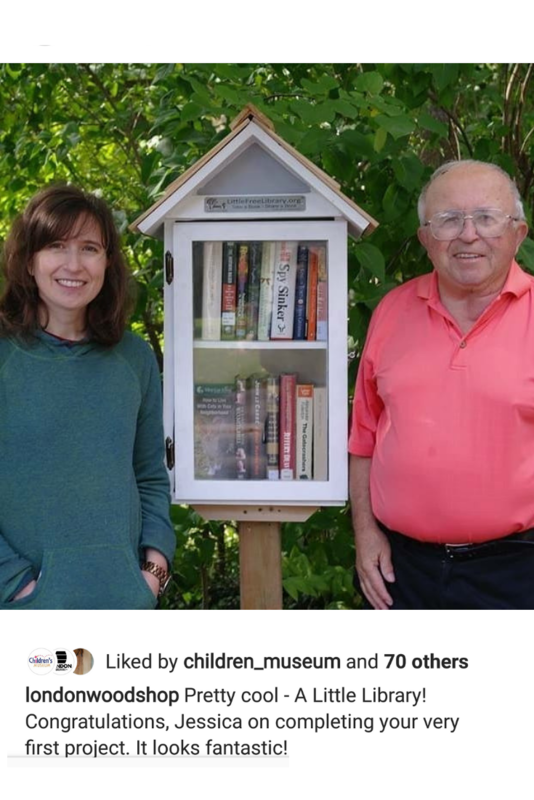 And there's an entire community to support you! 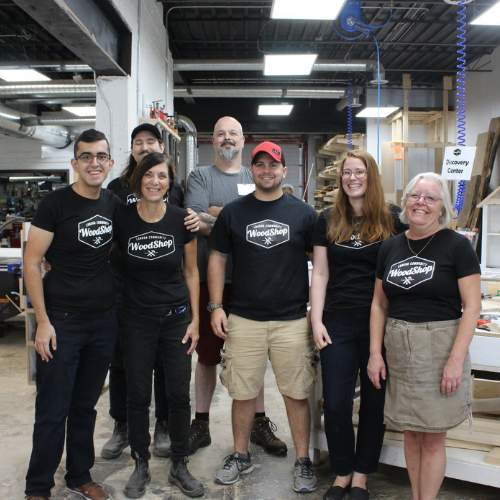 We have the tools, workspace, curated locally sourced supplies, and experienced team to help you. We invite you to come into the shop and see what we're all about! 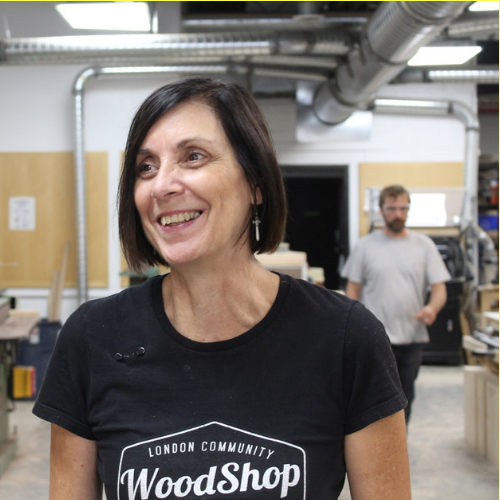 Experienced shop staff, Lori and Devon, plus more than 55 other Woodworkers! 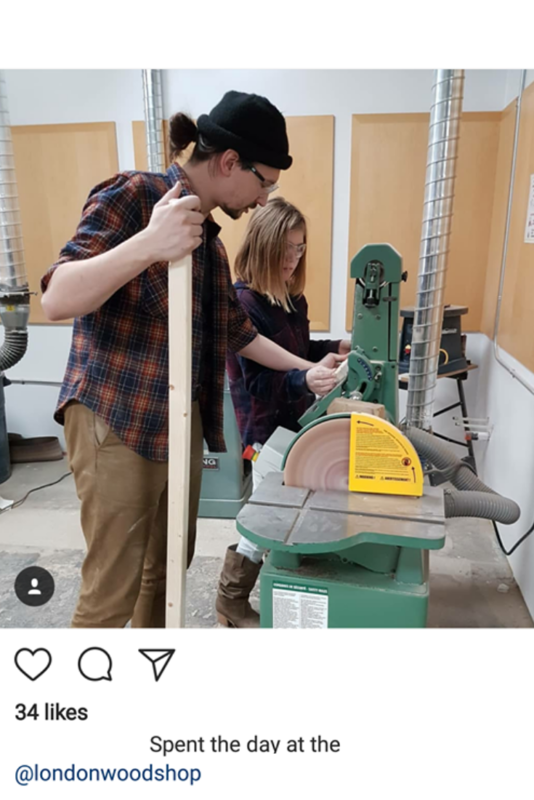 There is always someone in the Woodshop Community with a solution to your next project question!